Get a look at this all new colorway of the Air 180, releasing next month at select Nike Sportswear retailers. Always a good look and always reliable, the classic Nike Air 180 arrives to us today in a perforated leather look. Putting the usual Durasheen upper to rest, this latest release of the Air 180 is constructed with the winter months and not so great weather in mind. 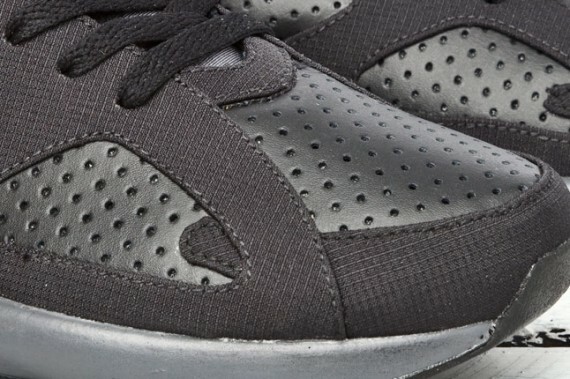 Black perforated leather is seen working most of the upper throughout the toe and side panels. While a ripstop material fills in the other areas, along with smooth black leather around the ankle. 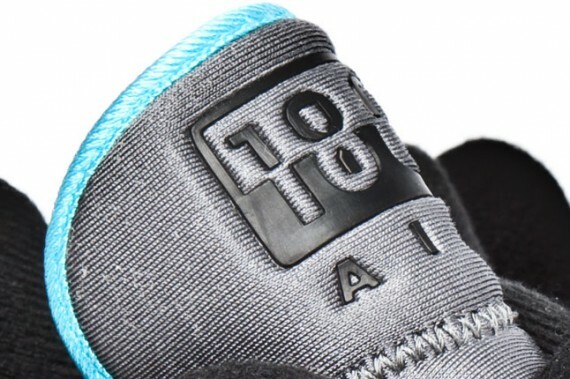 Dark grey takes place on the Swoosh, midsole and tongue, while alarming blue sits on the tongue lining. Red is also seen, covering the heel Air unit and heel branding. 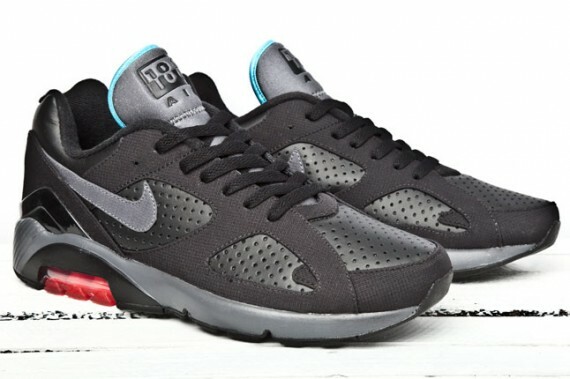 Look for this latest colorway of the Nike Air 180 to arrive at select Nike Sportswear retailers soon.